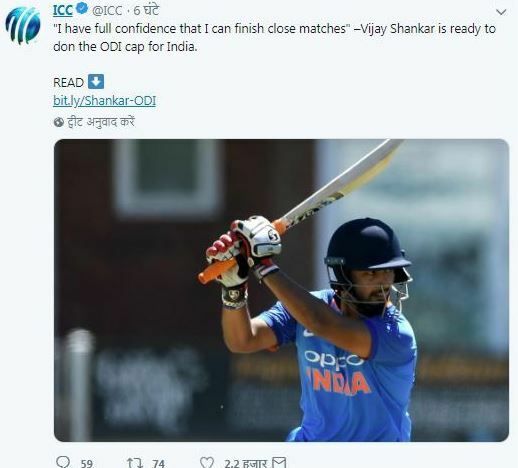 India vs Australia 2nd ODI Adelaide: The apex cricketing body ICC has made a goof-up recently by mistaking Vijay Shankar for Rishabh Pant. India vs Australia 2nd ODI Adelaide: The apex cricketing body ICC has made a goof-up recently by mistaking Vijay Shankar for Rishabh Pant. The cricketing body on realising the gaffe was quick to delete the post. But, social media detectives had already taken screenshots of the post and that is buzzing on social space. 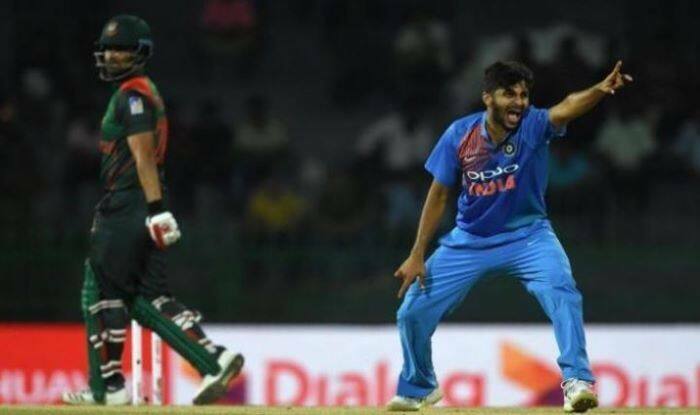 Vijay Shankar and Shubman Gill were recently picked by the BCCI after Hardik Pandya and KL Rahul got suspended over misogynistic remarks on a popular TV show. Shankar and Gill have been in good form in the domestic circuit and that has helped them make the cut. “I think I have become mentally stronger now and I have full confidence that I can finish close matches. India A tour of New Zealand has helped me understand my game much better,” Shankar told PTI during an interaction. He believes that A team coach Dravid’s decision to send him to bat at No 5 in New Zealand helped him immensely. “Rahul sir told me one thing that he has faith in my ability to finish games. I think batting at No 5 also suited my game as I was able to close two games and remain unbeaten,” said Shankar, who has so far played five T20s for India. “The 87 I scored in a chase of 300 plus against New Zealand A gave me a lot of belief that I also belong to this level. In another game, I scored 60 odd in a chase. “While batting at No 5, in all these matches when I was going into bat, we required 150 to 160 runs and it was very important that I paced the innings well and played the role of a finisher,” Shankar explained. While he was bowling four to five overs per match during Vijay Hazare Trophy, he has bowled more overs in Ranji Trophy. The sudden selection and the cloud of uncertainty hovering over Pandya for his transgressions has suddenly brought Shankar into the mix but he is unfazed about it. “I am not thinking about World Cup and all those things. You can’t play freely if you start thinking like that.